Great quality and easy installation. Bought two more! 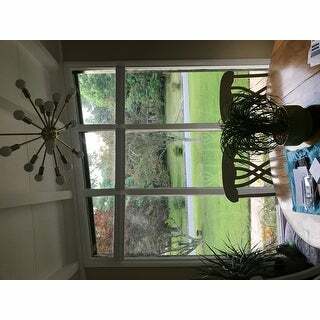 Love these blinds- have used them for years to provide privacy when needed without the use of drapery! 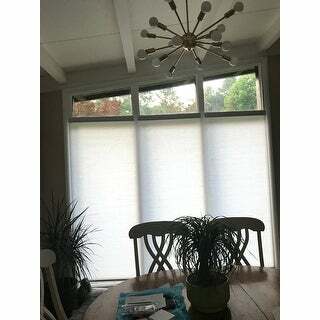 These SPECIAL order blinds were necessary to 1) help reduce heat/air loss and 2) night privacy in my beautiful 1960 MCM dining room with its angled 12-14” window. They do the job nicely without being obtrusive. They hung easily on the woodwork that seperated the tall glass from the celestail pitched window above. The white blends in and are hardly apparent when the shads are open. They provide privacy with light filtering when closed. Worth every penny AND at a fraction of the price for any other special order. I live the fact that these blinds can be can be down on the bottom to block anyone from seeing in but open on the top to let in light. Love these shades! After having the top down bottom up shades, will never want to buy any other. These are a great buy for your money. They hang easily and look awesome. "i have an inside mount space that measures 1and 1/4', just a little bit off from the 1and 3/8 requirement for inside mount - I don't need these to be "flush" inside mount, but I want an inside mount. Can I still put the bracket on as an inside mount considering my inside mount is 1/8th of an inch less than the required? Basically, can I still mount the bracket on the inside?" "Are these really considered "energy saving/efficient" considering they are only single cell? What is the thickness of the shade material?" This is a 3/8 inch pleat and the material is about 3/4 of an inch thick. 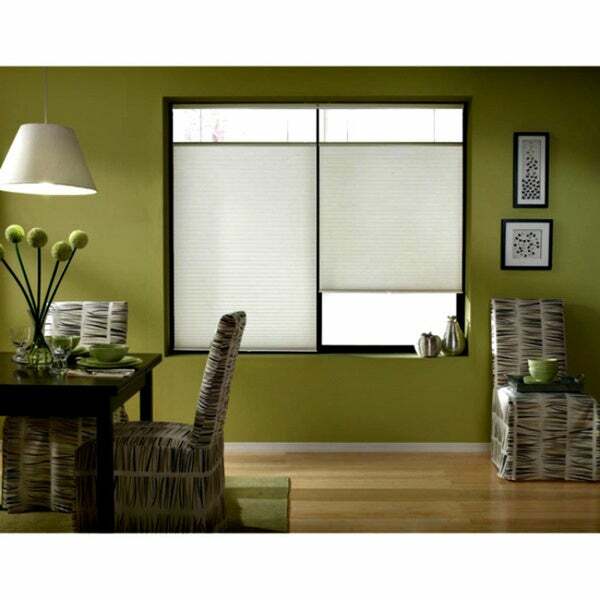 Most cellular shades are going to be energy efficient since they have two pieces of material that form a comb. "My window opening is 30" wide. Will the 30"-30.5" wide shades fit?"